SmartReno are leading specialists in all types of Home Renovations, and can provide you with a professional complete design and construction service. Our highly experienced team are experts on reconfiguration requirements to provide you with structurally achievable options, while being knowledgeable of the most up-to-date trends to ensure that your home renovation is complete to the highest upgrade and finish. SmartReno believes the end result of a Home Renovation should enhance your lifestyle and increase the value your home. We view each renovation project as a masterpiece, a creation that reflects your ideas, dreams and lifestyle needs. Our design services are tailored specifically to each and individual area while matching the style and character of existing elements in your home. Our extensive and expert knowledge allows us to present you with renovation designs that are not only visually appealing, but are also functional and practical. Most of all, we take care to prepare every detail and allocate resources to fit within your budget. We strive to create beautiful spaces that you will love to live in for many years to come. It is important with any renovation project, to engage the architect, designer and builder at the same time. We often hear issues of clients approaching a builder with a design, to only realise that their renovation plans are not only impractical but, in some cases, unachievable. SmartReno is your one-stop shop for any renovation project. We have a professional design team with intimate understanding of construction methods and materials to not only bring your vision to life, but also adapt your ideas into achievable, functional outcomes that fit within your budget. Our designers also have extensive knowledge of the latest trends to provide you with customised and flexible options to modernise or match existing characters of your home. 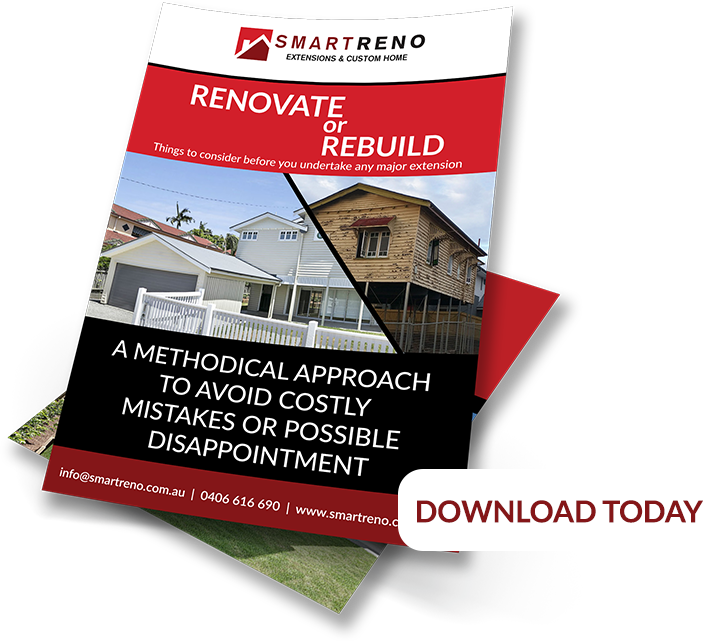 If you already have designs in mind, our team SmartReno can also assist with your renovation by providing practical feedback, suggestions, and improvements if necessary, to ensure the construction is as close to your initial concept as possible. Our experience in the industry and expert knowledge is the key in your successful Home Renovation. 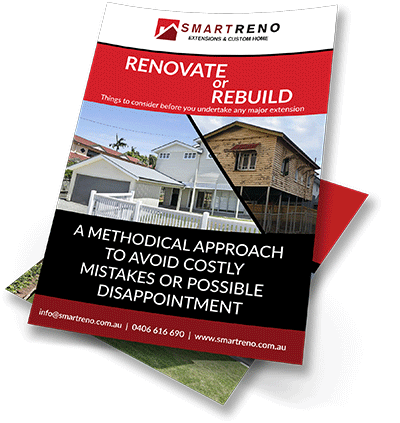 Contact SmartReno for your Home Renovation project today. The Kitchen is “the heart of a home”, a well designed and functional kitchen can greatly enhance your living and enjoyment of your home. SmartReno can update your kitchen in line with the latest trends, to provide you with an appealing and efficient kitchen you’ll love to spend time in! Did you know, in an average lifetime we spend around six whole months in the bathroom? More than just a place to clean and shower, the Bathroom is also a space for relaxation and refreshment after a long day. 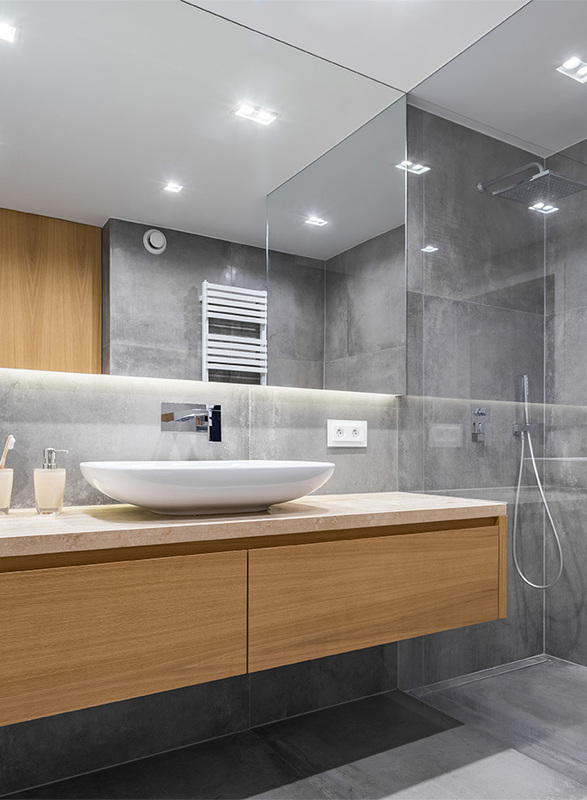 Let SmartReno revive your tired and dated bathrooms with our expert bathroom redesign and renovation service. From tap ware to lighting, we can transform your bathroom to a space you look forward to coming home to every day. Many of us love to enjoy the outdoors and that includes entertaining guests at our homes. Ever dreamed of having an outdoor entertainment and kitchen area but not sure where to start? SmartReno can make your entertainer’s dream come true by transforming your backyard into a functional outdoor space that you can enjoy with your friends and family. Whether it be an outdoor kitchen, or an alfresco sitting area, a well-designed and functional outdoor area will add value to your property and enhance your lifestyle. While many older homes have unique character and located in ideal suburbs, a dated home can have many issues from ageing pipes to inefficient designs where bedrooms are small and without proper storage spaces. If this sounds like your home, SmartReno can restore its charm so you can continue to enjoy living in your home for many years to come. 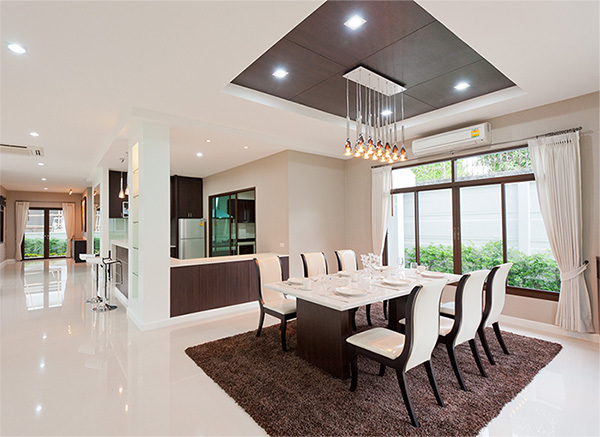 A well structured but dated home can be revived with a complete interior redesign whereby our team can alter the layout of your home to maximise spaces where needed, while applying latest elements to increase functionality and energy efficiency of your home. In recent years with the rise of the digital age, working from home has become an increasingly popular option. If you’re needing an extra functional space in your home for running a home-based business, or perhaps wanting to put your garage into good use, our professional team at SmartReno can design your garage space and convert the area into an office, extra guest room, or even a leisure area such as a media room or home gym. Talk to us about your ideas today! If you love spending time in your garden, SmartReno can create the space you can enjoy outdoor views with a Deck or Veranda. This involves thoughtful designing from the materials used, the supporting structure, as well as applying our experience and expert knowledge on arrangement including the direction and orientation in which the best views or air flow is maximised. We ensure your time spent outdoors on your deck or veranda will be truly enjoyable and comfortable.